Based at 7Stanes Kirroughtre Visitor Centre, we offer the largest hire fleet of bikes to hire in Dumfries and Galloway. 6km Green route - mostly flat and doable for the little ones, or with a trailer or tag along. 10km Blue route - A great introduction to mountain biking, with flowing singletrack and beautiful views. 17km Red route - A fast and flowing trail with sections such as the nut cracker, rivendell and white witch. 31km Black route - Links up with the red route to make one of the best trails in the UK with stunning views and challenges for the advanced riders. Note Winter Hires: You may need to bring lights for the end of afternoon 2-5pm sessions. The shop will remain open until 5pm for you to return bikes. 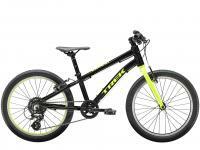 Suitable for minimum inside leg of 52cm (around 5-7 years old), it has 20" wheels. 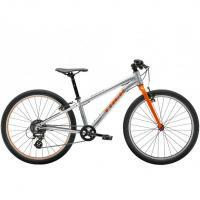 Suitable for minimum inside leg of 62cm (around 8-10 years old), it has 24" wheels. Pedal trailers let you bring your kids along to share in the adventure. 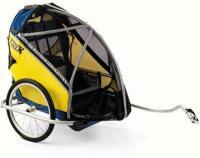 These bike trailers are designed to be attached to a bicycle for transporting a child.